The party responsible for data protection is Delta ehf, 603 Akureyri, Iceland (“www.classiciceland.com”) as well as those companies affiliated with www.classiciceland.com, to whom you have given the appropriate consent for the use of your personal data. We commit ourselves to observe the applicable data protection laws, in particular, the provisions of Icelandic Privacy laws. When you book a tour with us we ask for your name, email address, credit card information. 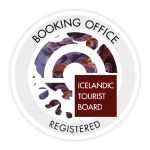 We also ask for optional information like your hotel/guesthouse in Iceland in regards with our complimentary pick up/drop off service. You’ll also have the option to sign up for our newsletter. www.classiciceland.com will not share your personal data with third parties, unless you have previously given your express permission or unless the transmission is required or permissible by law. We will in particular not sell or otherwise market your data to third parties. Transfers of data to government institutions and authorities is done only within the scope of mandatory national legal requirements. Our employees and partners are obligated by us to maintain secrecy and to comply with legal da-ta protection regulations. Based on your declaration of consent, www.classiciceland.com processes and uses your personal data when applicable for marketing activities, such as for sending emails with general information or advertising information (newsletters). I agree that every week, www.classiciceland.com will send me exciting travel tips, city guides and top offers by email. You may revoke this consent with GetYourGuide at any time without observing any form (for example, by telephone or by email). You can revoke your declarations of consent with us with future effect at any time. Additionally, if we use your personal information as permissible by law, for example for marketing activities by mail, you may object to this use.